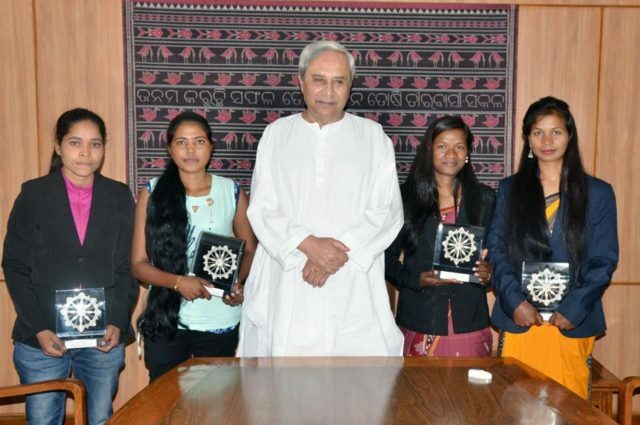 Bhubaneswar: Odisha Chief Minister Naveen Patnaik on Monday felicitated the Odia women BSF bikers who were part of Seema Bhawani, the first all-women BSF bikers’ team. Patnaik felicitated them with bouquet and memento at the state Secretariat. “Glad to meet the inspirational daughters of Odisha, who made history as part of ‘Seema Bhawani’, the 1st all-women bikers team from Border Security Force (BSF) that bedazzled the Nation by performing daredevil stunts on #RepublicDay. They are role models and an example for all that girls are lesser to none in courage & tenacity. We are very proud of them. 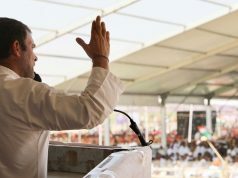 Wished them all success in life,” said CM Naveen Patnaik.